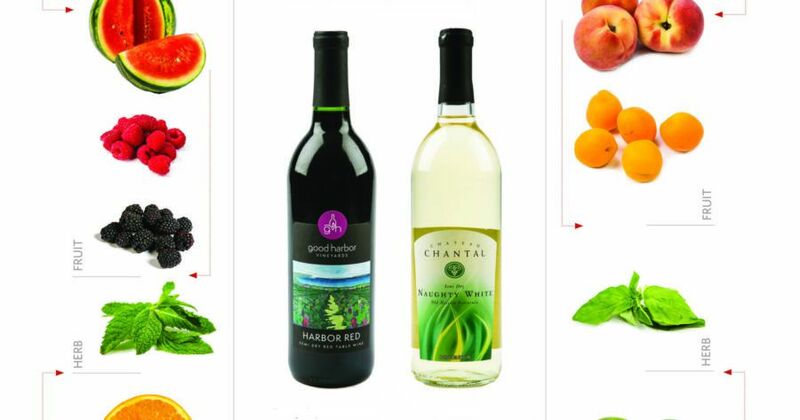 Enjoy the best of both worlds by combining Northern Michigan wine from Leelanau and Old Mission vineyards with local farm fresh fruit to create Northern Michigan sangria. Find the original layout in the August 2015 issue of Traverse, Northern Michigan’s Magazine. August’s orchard bounty and abundant sunshine demand sangria, summer’s best buzz. 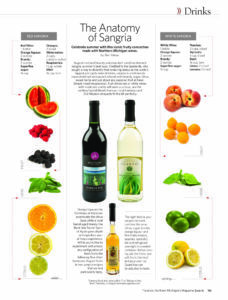 Credited to the Spaniards, who sought a way to diversify their enduring status as the world’s biggest per capita wine drinkers, sangria is a deliciously improvisational wine punch infused with brandy, sugar, citrus, sweet herbs and just about any seasonal fruit at hand. Simple (read inexpensive), fruit-driven red or white wines with moderate acidity will work as a base, and the vinifera/hybrid blends from our local Leelanau and Old Mission vineyards fit the bill perfectly. Learn more about Traverse City wine country in the Traverse City Vacation Guide! Learn more about Leelanau wine country in the Leelanau County Vacation Guide!